Interested in joining us? Join us in our forum, get help, and help others, and eventually become part of the official team. From job advertising, IT worker's rights, to technical discussions, we have set a nice environment for discussion. Both local and international users are the most welcomed. Humility is highly valued. 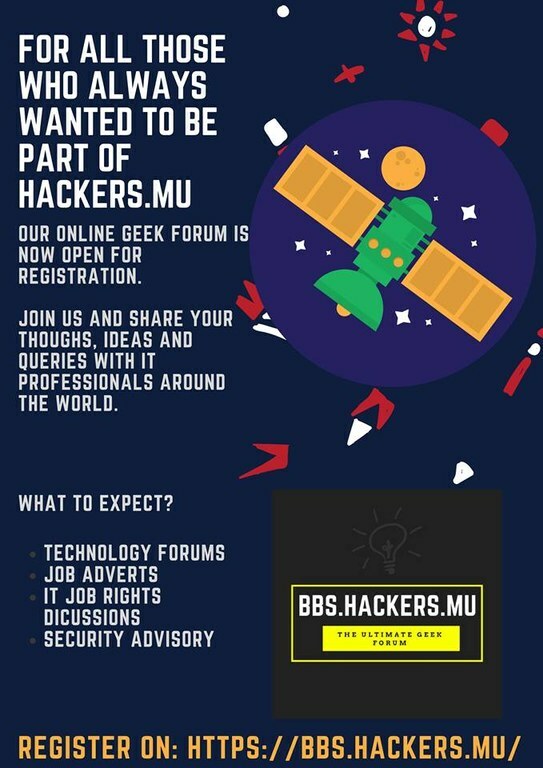 Please note that by joining the forum, you are agreeing to our policy of abiding by the laws of your country and that of Mauritius on that forum, and we reserve the right to ban you at any moment if we find that you are spamming or posting illegal contents on our forums.